commun!care is a total communication company established in Seoul, Korea since 2004. From simple translation services via web evaluation to linguistic analysis and consulting, we provide a set of high quality language services. Along with the traditional linguistic approaches, we are now on the way to expand as well as to integrate every relevant research area in language resource management and industrial automation. Focusing on the NLP (Natural Language Processing), semantic web and XML-related technologies, we are also developing a series of future-oriented, highly advanced linguistic applications and a set of solutions for both academic and industrial use. Being continuously aware of the current issues and international forums, we are getting involved in the standardizing processes worldwide. 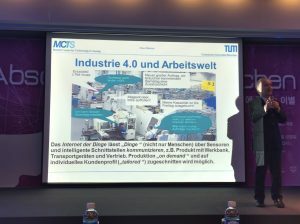 Keywords: Translation, Speech, Press Release, Copy-writing, Publication, Marketing, Researches on Automation and Drives, KNX/EIB, ISO /IEC Standards, Semantic Web/Web 2.0, Industry 4.0 etc.